The editor is based on Cloud9’s ACE editor (ajax.org). The Generator outputs a parser and lexer, and does the wiring with ACE (language mode and a worker responsible for syntax validation). 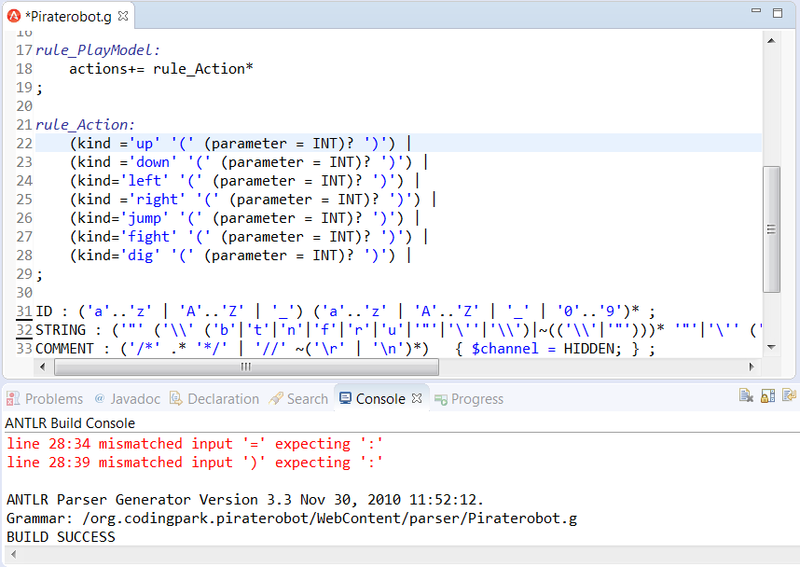 The grammar is localized in the “PirateRobot.g” file. This grammar is a starting point, when you change the grammar and save the file, (1) the builder regenerates the parser on-the-fly under WebContent/ace/parser. Then you have to (2) synchronize the ACE modules with the grammar using the contextual menu action. Both steps are illustrated below. 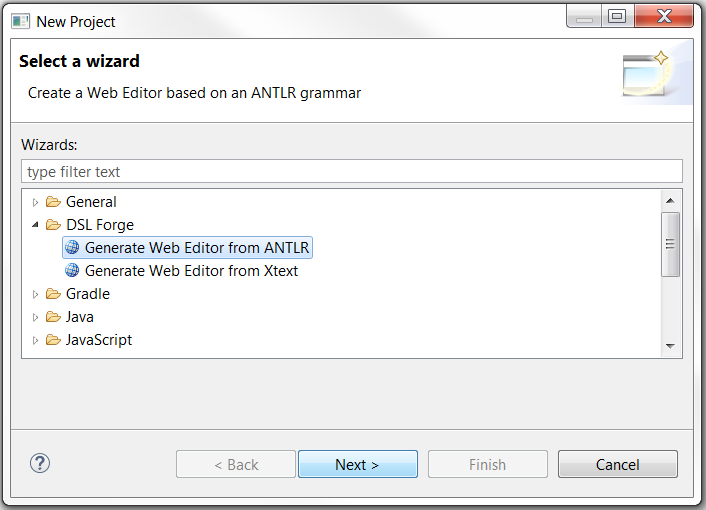 Whenever the grammar file is modified, the ANTLR Builder generates automatically the parser and lexer for the laguage. If the grammar is correct, you should have something like this in the console output. ANTLR Parser Generator Version 3.3 Nov 30, 2010 11:52:12. Once the parser/lexer regenerated by the incremental builder, the ACE mode and worker can be synchronized by right clicking on the grammar file and selecting Generate artefacts from ANTLR action. 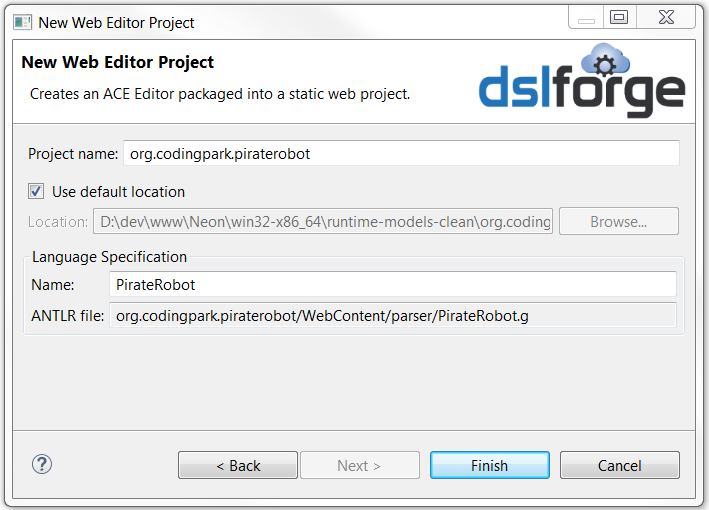 The action is accessible from the package explorer, and the ANTLR editor as well. 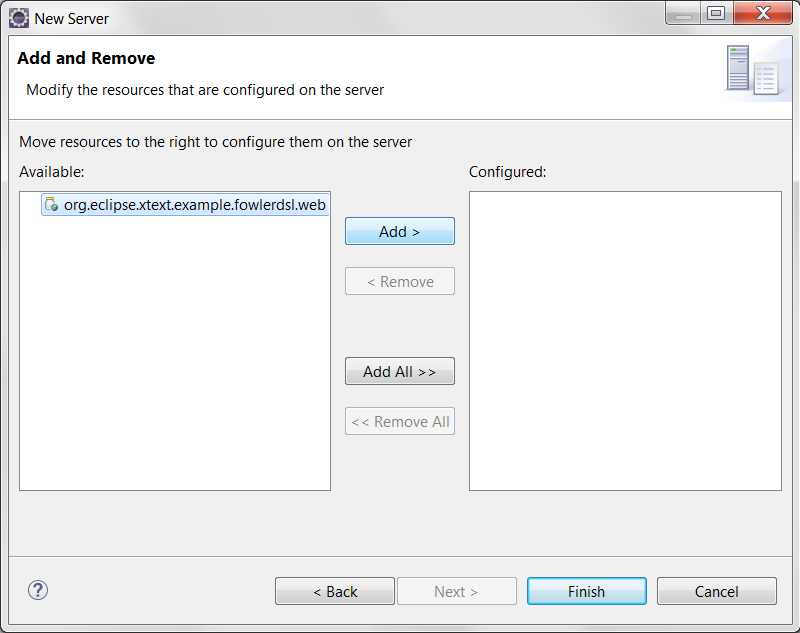 Under Eclipse WTP, use the HTTP Preview server as a runtime server, for viewing the generated web project. The Preview server is embedded as test serer integrated with the workbench; a convenient way to check for errors before deploying on real servers. In the Servers View, right-click then select New > Server. 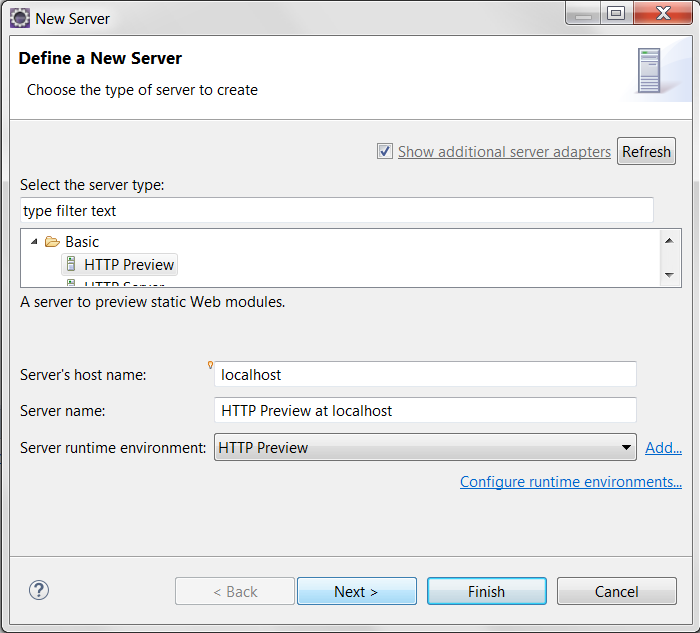 In New Server wizard, under the Select the server type list, Under Basic, select HTTP Preview. Click Next. In Add and Remove. Under Available projects, select the Web project and click Add button. Click Finish. The HTTP Preview server should be visible in the Servers view. 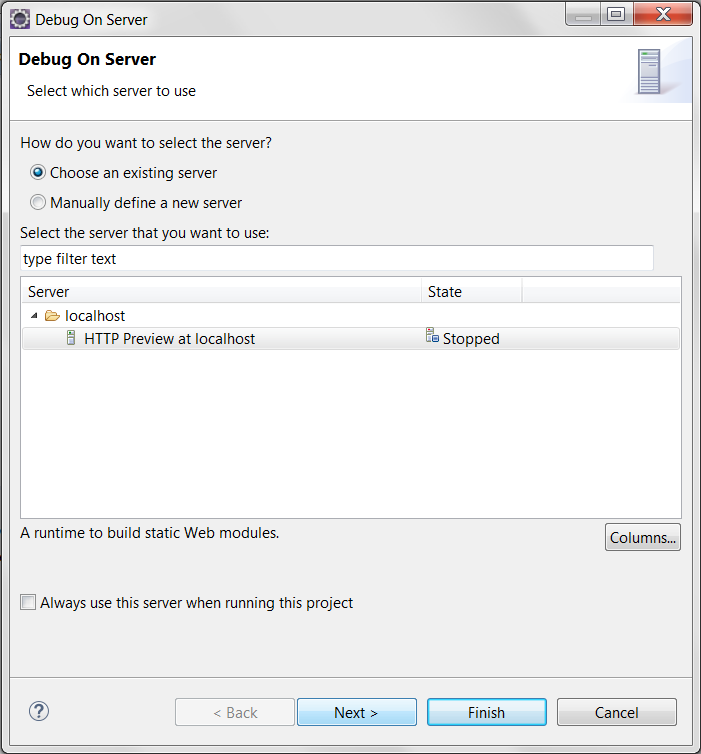 In the Project Explorer view, navigate to the Web project, right-click on the index file, Select Run As > Run on Server. 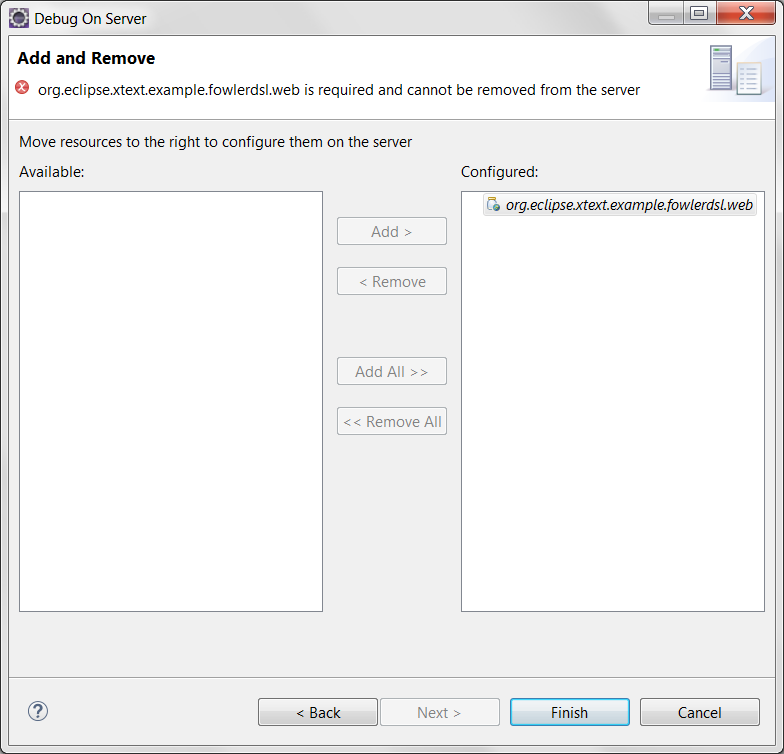 In the Server wizard, verify Choose an existing server is enabled. Under Select the server that you want to use, select your sever. Click Next. The Add and Remove page opens. Verify the project is listed under Configured projects. Click Finish. Chrome is preferred, as the Eclipse default browser doesn’t implement the Shared Worker specification; multithreading will work only between each editor and its language worker, however the global index will not be initialized. ace.js : this is the base script that manages all ACE modules. This script is kept as-is from the ACE repository, no need to tweak it. mode-language: ACE uses the so called “modes” to embed language-specific attributes, such as syntax highlighting, code folding, brace matching, etc. eclipse-theme : contains the CSS theme of the editor. In WebContent/ace/snippets, there is the templates file loaded by ACE Language Tools module, so that the templates appear in the content assist popup.